After 10 years and ENDLESS after-credit teases, convoluted plotting, and more than $13 billion in box-office bonanza, AVENGERS: INFINITY WAR is happening. Here’s the first official trailer. 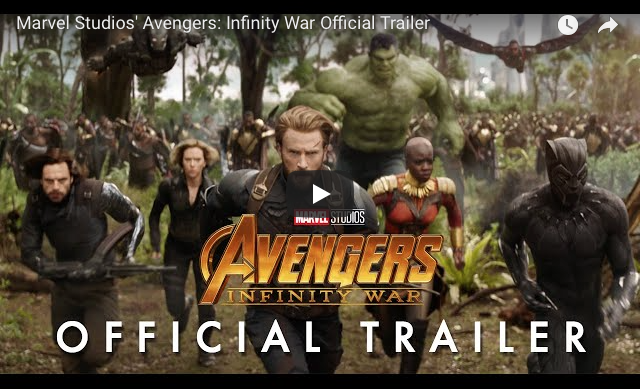 It’s interesting to note, however, that this is not the footage that screened this summer at San Diego Comic-Con and D23–well, it’s not all of it. But it’s enough to light the fanboys/girls afire.